Alex Lyon & Son conducted a complete liquidation auction Sept. 28 for Utilicon Corp., a large sewer and water contractor in Cleveland, Ohio, that had gone out of business. 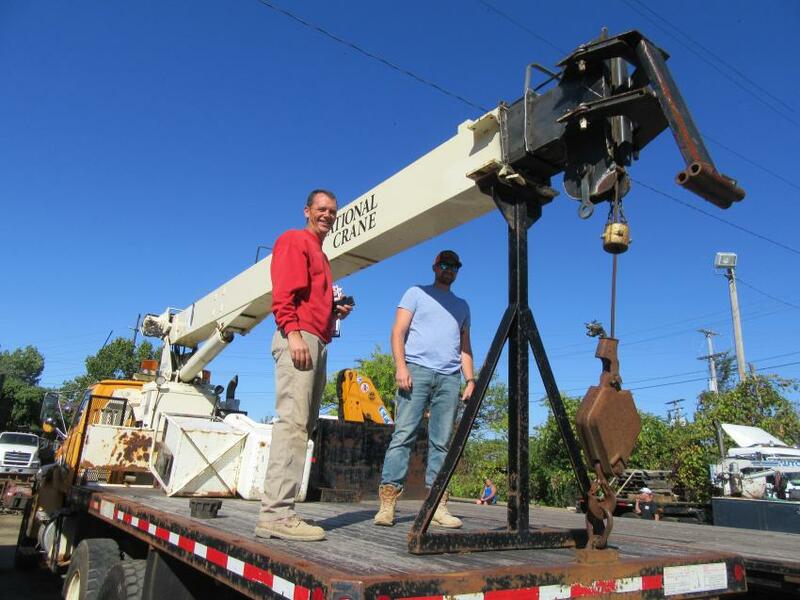 Equipment up for bid included a large variety of tractors, trailers and trucks including boom trucks, dump trucks, state trucks, pickup trucks, water trucks, and sewer jetters. The auction also had a selection of hydraulic excavators, loaders, crawler tractors and skid steers, along with attachments and asphalt, trenching and support equipment. The auction attracted area contractors and also drew heavy online bidding. Bill Estright (L) of Masonry Contracting Inc. and Shannon Lindsco of Pit Concrete Masonry Ltd. get a closer look at a National Crane boom truck at the auction. 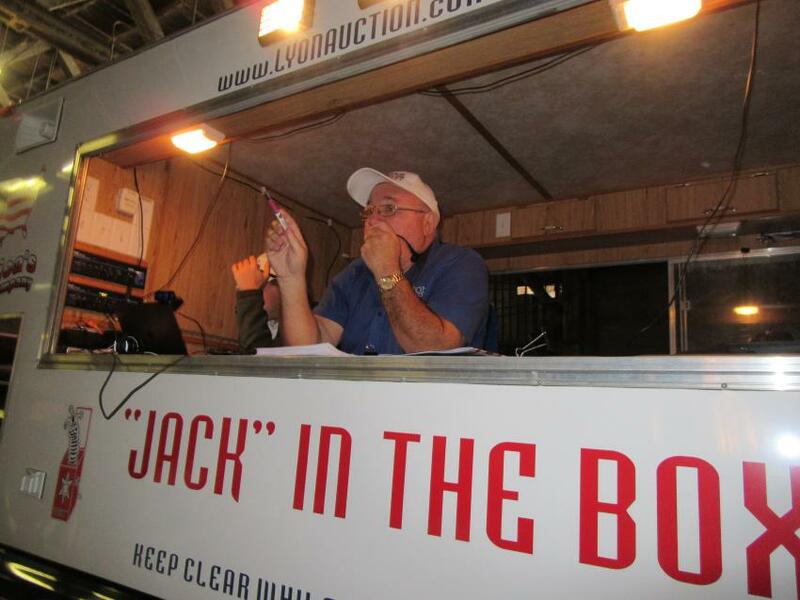 Jack Lyon keeps the bidding moving along while keeping the bidders entertained. 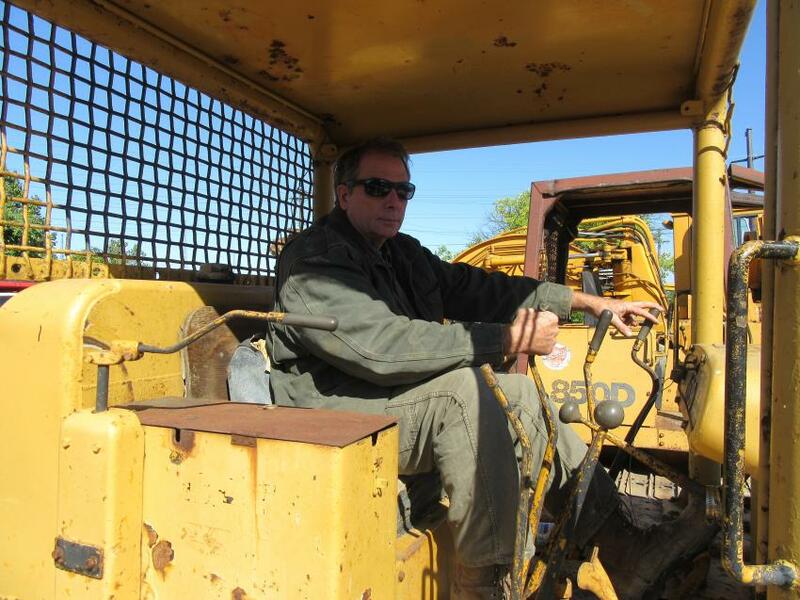 Jeff Rice of Rice Construction tries out a Cat dozer at the auction. 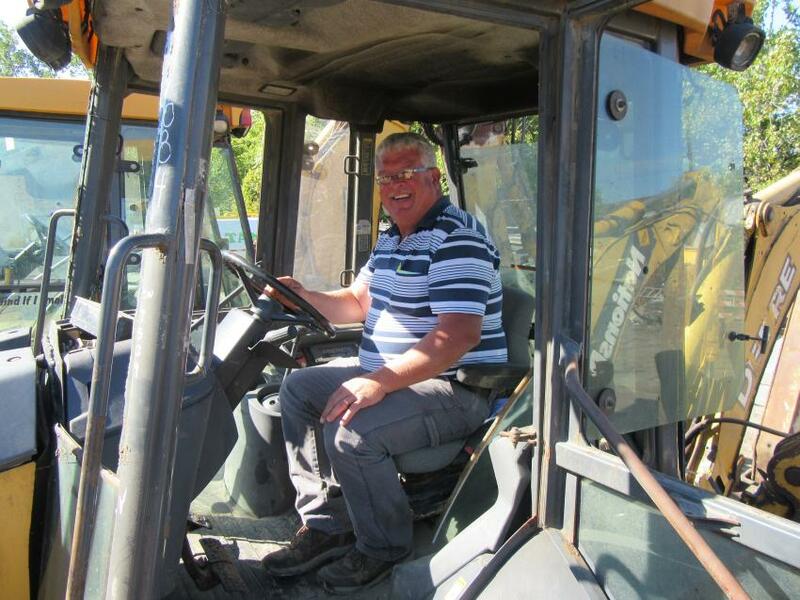 Jason Kriegmont of Jason Services considers a bid on this John Deere 410G backhoe. 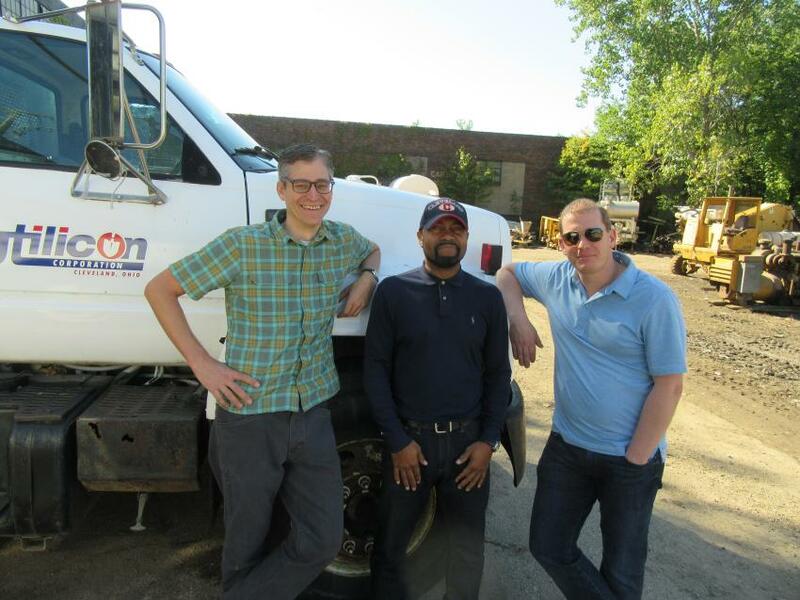 (L-R): Jeff Miller and Dwight McClain of Utilicon Corp. were joined by Shawn Tedesco of Firewatch Contracting in monitoring progress at the auction. 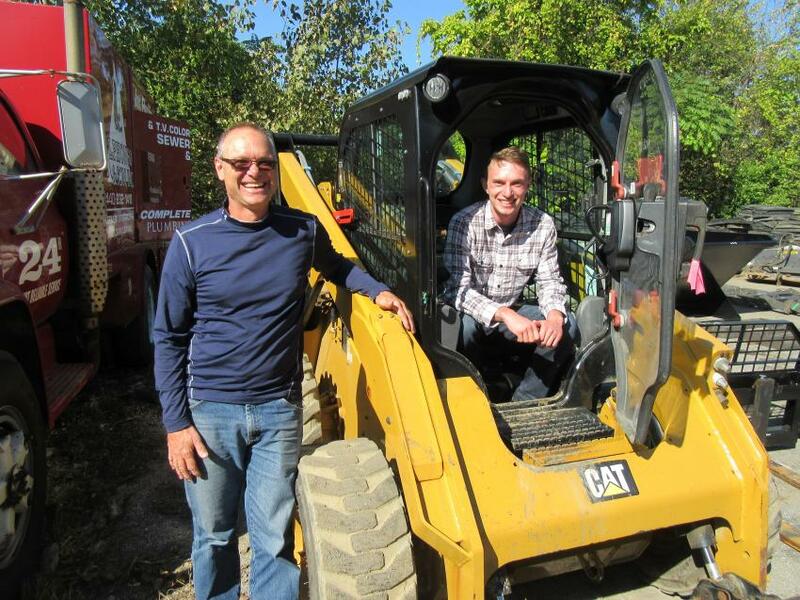 Carl (L) and Andrew of Pallet Services LLC try out a Caterpillar 262D skid steer at the auction.